those lucky enough to call Eagles Nest home. This five-star all-season camp has been designated North Carolina’s premier Land Report Certified Community. 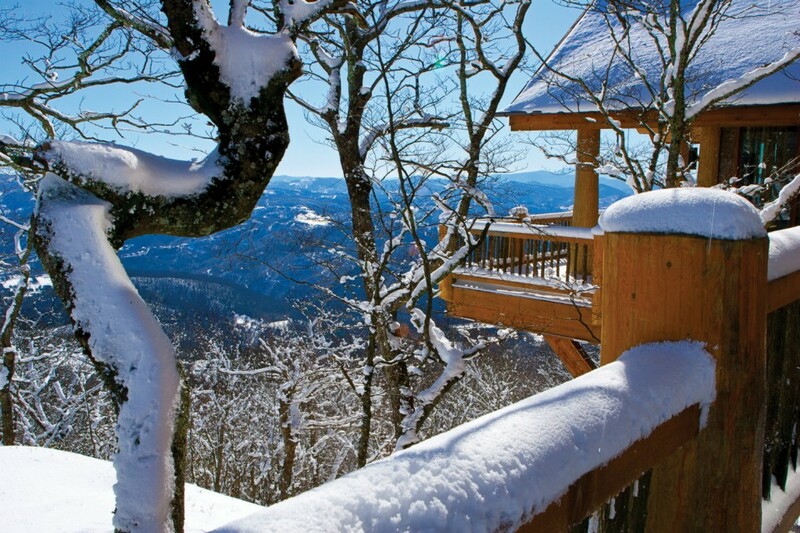 Thanks to longtime partners Will and Mark Adkins of The Waterfront Group, Patten learned about Eagles Nest in North Carolina’s Blue Ridge Mountains. More than $70 million was invested in the initial development and buildout of Eagles Nest. 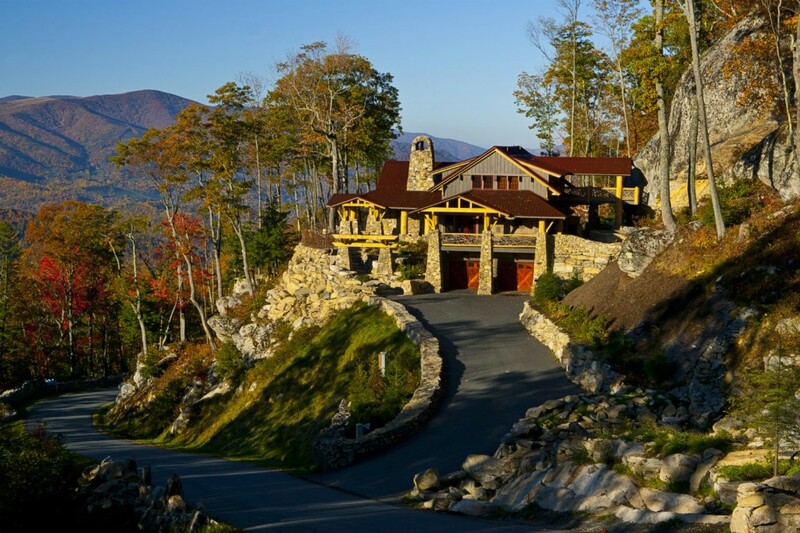 “The setting is simply spectacular: mountaintop homes with hundred-mile views. Eagles Nest was designed to look and feel like a five-star all-season camp, and with more than $70 million in cash and loan proceeds already invested, it shows. It’s almost impossible to find amenities and infrastructure like this anywhere. Too bad the original developer didn’t have the best timing. When the economy tanked, the bank called the note. That’s when we stepped in,” Patten says. Greg Cox is one of the many original owners. He says he bought at Eagles Nest during the “pre-crash days.” It’s Cox’s way of referring to the time before the Great Recession when financial markets tanked and residential real estate values plummeted. Many of the multi-million-dollar residences boast exquisite attention to detail. Cox admits that he and his family are adventure junkies. It’s one of the many reasons why he held onto his $2.8 million Eagles Nest home even after the downturn. Before they bought at Eagles Nest, the Cox family regularly packed up and flew out to Colorado to get their open-space kicks on dirt bikes and anything with knobby tires. Stunning Blue Ridge Mountain views can be found at every corner. But as the original developer slipped into bankruptcy, Cox and his neighbors feared the worst. Popular amenities such as the Great Camp, with its Teepee Village, volleyball court, and helipad, require year-round maintenance. Who would keep up the miles of paved roads and the motocross and ATV trails? That’s when The Patten Companies, in partnership with The Waterfront Group, stepped in and acquired the 1,300-acre resort community out of receivership. Cox, a 28-year veteran of the commercial real estate business, will be the first to say that he was concerned when he heard about the change of ownership. “Our first thought was, ‘Oh, man. Here we go.’ I mean what kind of commercial group would take on a project of this scope? We had big expensive lots at Eagles Nest, plenty of standing inventory, and no hope for someone who wanted to come in and make a quick buck,” Cox says. “I am glad to report that we couldn’t have been more wrong. The partners continue to invest time, money, and smart planning into this community, and we are thrilled by what they’ve done,” Cox says. 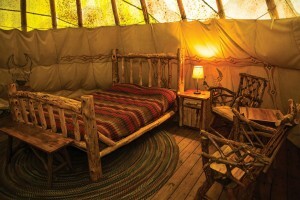 Nothing warms the night at the Teepee Village like a crackling fire. This rebirth honors the original concept that inspired Eagles Nest without overlooking a key reality: today’s land buyers are operating in an economic climate that is vastly different from just a few years ago. It’s a welcome challenge for Mike Patten and his partners. 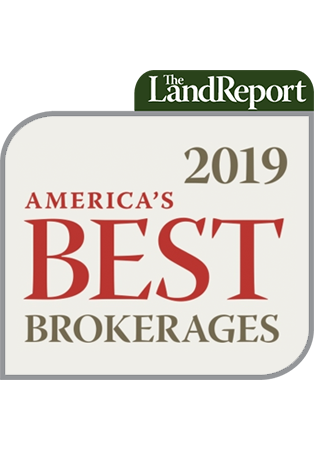 “We set out to create new properties that not only offered some of the most usable acreage on the mountain, but we carefully placed each property to maximize the natural features around it. 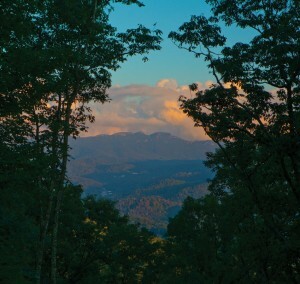 Whether it’s that amazing long-range view a family is looking for with the sound of a mountain creek nearby, or a luxury lodge to host family get-togethers with room to ride four-wheelers and dirt bikes on mountain trails, Eagles Nest has it all,” Will Adkins says. 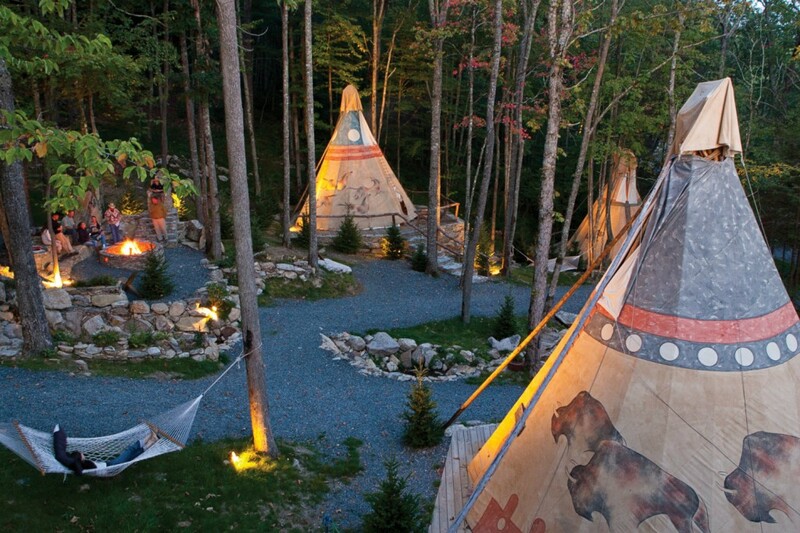 One of the most popular amenities at Eagles Nest, the teepees can be booked overnight. The response to the current ownership team has been more than just enthusiastic. “After we caught up on all of the deferred maintenance, we ended up selling more than 75 properties on our first release,” Patten says with a touch of pride in his voice. To date, more than 120 new families have recently purchased property at Eagles Nest. Price has been a major factor. Compared with the first wave of owners who bought prior to the Great Recession, current buyers are paying a fraction of the original pricing. In its first incarnation, lots at Eagles Nest ranged in price from $200,000 to more than $1 million. Today some of the best properties at Eagles Nest sell at up to 90 percent off original sales figures. Another key driver is location. Eagles Nest owners are just minutes from a dozen different golf courses. The Blue Ridge Parkway sits only a couple of miles from the resort’s front gate. And some of the best skiing in North Carolina is right next door. The surrounding forests offer some of the region’s best off-roading, horseback riding, hiking, and white-water rafting. 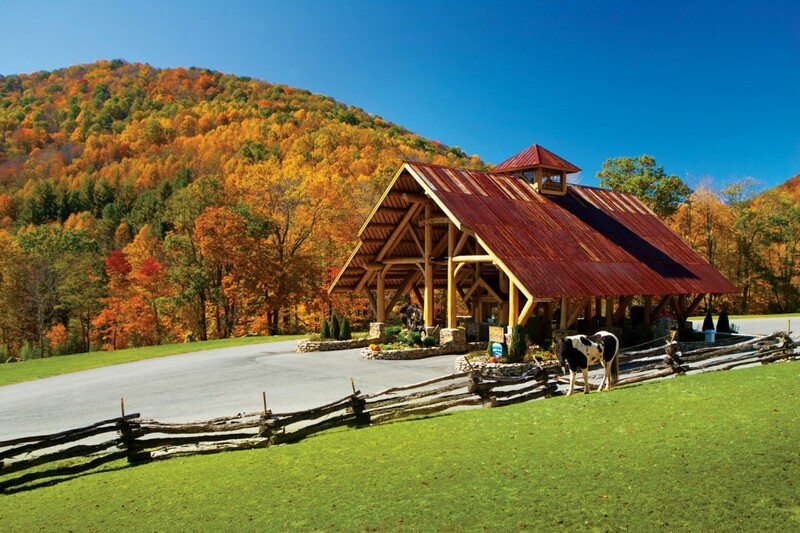 And at the foot of the resort can be found the quaint mountain town of Banner Elk, home to numerous fine dining options and an award-winning winery. A final factor has stoked sales: timing. Although Eagles Nest offers a phenomenal opportunity to buy premium property at a substantial discount, the window of opportunity on this one is guaranteed to close all too soon. Colorado? No, think again. 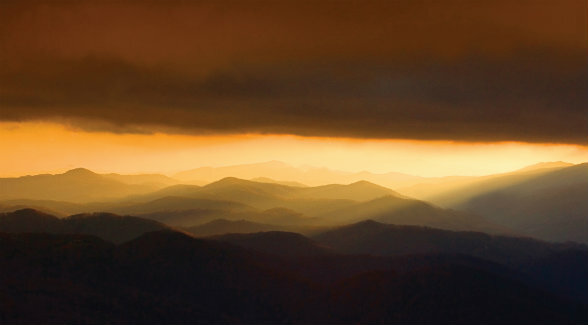 Thanks to their mile-high setting, North Carolina’s Blue Ridge Mountains are an ideal four-season getaway. That hasn’t stopped new amenities from coming online. Take, for instance, the Eagles Nest Fishing Club. Situated on the renowned Elk River just across from the main gate, the club offers owners 2,000 feet of access to some of the finest blue-ribbon trout waters on the East Coast. The club also boasts an on-site barn so anglers and their guests can tie off their lures or hang out with the kids. Best of all, the new partnership made the Fishing Club a reality after it acquired Eagles Nest. It’s one of countless investments the partners continue to make in the resort community and why it has been designated a Land Report Certified Community. “Are the amenities and the infrastructure completed or is the development half-baked? What about the homeowner’s association? Is it up and going, or does it exist in name only? And then of course there’s the developer. Do they have an established track record or are you dealing with some bottom feeder that bought a note and is trying to offload as many lots as quickly as possible?” he asks. 1 Pings/Trackbacks for "North Carolina’s Eagles Nest"